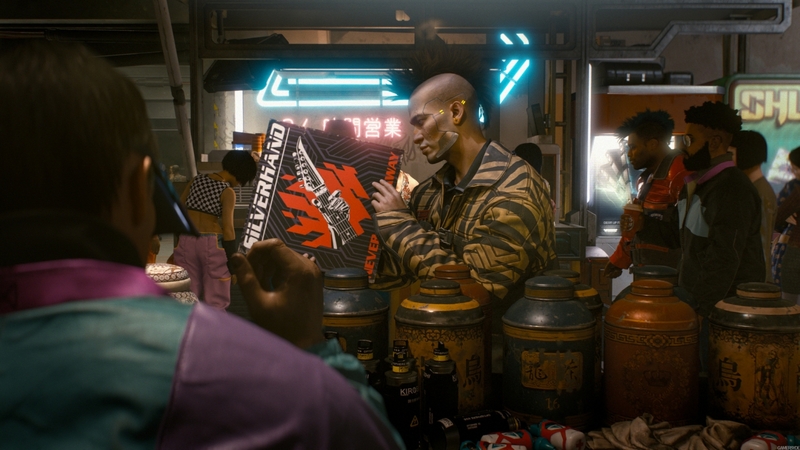 CD Project Red just released the first gameplay teaser for Cyberpunk 2077. The game that they plan to have dwarf The Witcher 3 with the sheer amount of content. It is also clear throughout that they were inspired by the tabletop, Cyberpunk 2020, and they even mention that. The trailer paints the picture of a dystopian future where the biggest companies set down their own rules. Instead of harvesting organs, people are kidnapped so criminals can harvest their cybernetics. You can pay a premium to have a medical swat team monitor your health and come in guns blazing to get you out, if you get hurt. Why there's even special people who make it their job to take care of other people's problem, for a price, and they work as a middle man setting up jobs from clients with people who can get the job done. In the trailer they showed off a lot of potential aspects of the game. However, one thing in particular seemed to stand out. Amidst all of the powers and cybernetics was a thriving city. Their efforts to make Night City feel alive and interact with the main character were very impressive indeed. The sheer amount of NPCs going about their day in different and unique ways showed just how far the game has come. When the main character first stepped out into the city proper it looked like they were stepping into a bustling metropolis. Cyberpunk 2077 already looks great, but it still has a ways to go. With upgrades that let you do everything from hack security doors to ricocheting bullets off of walls, it seems to be on a great path so far. Here's hoping that what it does change just improves an already interesting world.